Sprint customers have joined the modern world as the carrier officially turns on its LTE network today in Kasnsas City and St. Joseph, Missouri and in 13 markets in Georgia and Texas. Ironically, while the carrier is among the last two of the four major U.S. mobile operators to offer LTE, it was the first to give its customers 4G connectivity using Clearwire's WiMAX network. Bob Azzi, Sprint’s senior vice president of network says that service inside brick buldings may initially lag the service available outside. 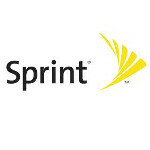 Sprint will be working to fill in the gaps and eventually will match Sprint's 3G footprint in the area. There are three handsets that Sprint has already released that have LTE capabilities. The Samsung Galaxy S III, the Samsung GALAXY Nexus and the HTC EVO 4G LTE will all work on the LTE network and automatically switch to 3G where the service is not available. Sprint has also been working to upgrade its 3G network. Azzi said that those using LTE phones will see "very fast" speeds while streaming video in LTE areas and "fast" speeds in 3G locations. Starting Monday, an interactive map will be available to show coverage of the carrier's LTE network at Sprint's website. Those still totin' WiMAX phones will continue to receive the slower 4G service from Sprint. Verizon currently serves 304 markets with LTE service and hopes to hit over 400 by the end of the year. AT&T recently expanded its LTE footprint to reach 47 markets and hopes to complete its LTE rollout by next year. T-Mobile is currently testing an LTE network and expects to start offering service in 2013. I'd like to see how battery life performs on the EVO 4G LTE and the S3 now that there's LTE. Battery life for both the Sprint editions of the GS III and EVO 4G LTE will probably be similar in LTE mode. The problem I am having is with the footprint of Sprint's LTE network. I wonder how many of Sprint's total subscribers are located in the areas that now have LTE? At least VZW rolled out their LTE network to high subscriber density areas first. There were some hiccups, but they learned from the hiccups. I see Sprint taking a safe approach short-term that could end up biting them when they start to have high user counts. Battery Life in any LTE phone is all that great except Droid Razor Maxx because of its massive battery. I have a Galaxy Note which has 2500mah and it will last about 10 hours of heavy use. You are best to get an extended life battery or extra battery to avoid issues. Still forgetting to add the LG Viper to the list. Lol. Although I have Verizon, I think AT&T is in the best position in this 4G stage for the GS3. Just about everywhere that AT&T has 3G, it has HSPA+, which is pretty fast. Although Verizon has larger coverage for 3G, it is really slow, and the 4GLTE takes more battery and is slowing down day by day with more and more users on it. Just pulled 18 mbps down and 9 up here in Atlanta on my GS3. They keep forgetting to add the LG Viper 4G LTE to the list.